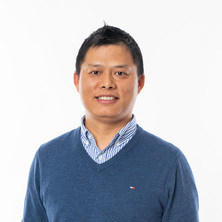 Dr Hong Peng had his PhD degree in Chemical Engineering at the University of Queensland(UQ) in 2014, which he received the Oz Minerals Prize Award for outstanding PhD thesis. Before PhD, he hold a position of chemical engineer in its Newcastle Technology Centre and Olympic Dam site at BHP Billiton, Australia between 2006 and 2009. He is currently an Advance Queensland Research Fellow at RioTinto Bauxite and Alumina Technology Centre in the School of Chemical Engineering, UQ since March of 2016. Peng, H., Yang, Y., Li, X., Qiu, G. Z., Liu, X. D., Huang, J. F. and Hu, Y. H. (2006) Structure analysis of 16S rDNA sequences from strains of Acidithiobacillus ferrooxidans. Journal of Biochemistry And Molecular Biology, 39 2: 178-182. Hu, Y. H., He, Z. G., Hu, W. X., Peng, H. and Zhong, H. (2004) Effect of two kinds of amino-acids on bioleaching metal sulfide. Transactions of Nonferrous Metals Society of China, 14 4: 794-797. Peng, Hong (2013). Nanobubbles and Molecular Scale Phenomena of Vapour-Liquid-Solid Interfaces PhD Thesis, School of Chemical Engineering, The University of Queensland.